What is the Medicare Special Enrollment Period? Just like private insurance, there’s a certain window of time when you’re supposed to enroll in Medicare. If you don’t, you may face penalties but there’s also a special enrollment period that allows people to enroll at other times without penalty. Medicare requires that you enroll during a 7-month initial enrollment period (IEP). If you’re eligible for Medicare when you’re 65, your initial enrollment period begins 3 months before the month you turn 65, the month you turn 65, and ends 3 months after the month you turn 65. If you will receive Social Security benefits at least 4 months before you turn 65 you will automatically be enrolled in Medicare Parts A and B during your initial enrollment period. If you won’t receive Social Security prior to your IEP you probably have to enroll in Medicare coverage. If you’re currently working for an employer with 20 or more employees and you’re covered under a healthcare plan through your job that is a group health plan as defined by the IRS. Ask your benefits manager for verification. This also applies if you’re covered through your spouse as long as their health insurance meets these requirements. Because Medicare Part A is free for most people that worked at least 10 years (40 quarters) some people to choose to enroll in Part A while still working but forego Part B until they retire. Talk to a Medicare expert for guidance in these choices. If you’re under 65 and have a disability, you will receive Part A and Part B automatically if you receive disability benefits from Social Security. In this case, the special enrollment period won’t apply to you. Also, if you have ALS you will receive benefits automatically. Remember how you probably don’t have to enroll in Medicare as long as you’re not receiving Social Security and you or you and your spouse are covered under a qualified group health plan? When the time comes that you or your spouse separate from that employer, you will enter the Medicare special enrollment period. This 8-month period begins the month after your employment ends or the month after the group health plan insurance based on your current employment ends—whichever comes first. You will not pay a late enrollment penalty if you meet the qualifications for signing up during the special enrollment period. Beware—If you signed up for COBRA, you are not eligible for the special enrollment period. You should sign up when you separated from your employer. There are other types of special enrollment periods where you can make changes to your policy. If you move to an area that isn’t in your plan’s service area, tell your plan before you move. A special enrollment period starts 1 month before you move and ends 2 full months after you move. During that time you can change your coverage. If you moved back to the United States after living outside the country, you can enroll in a Medicare Advantage Plan or Medicare prescription drug plan for 2 full months after the month you return. 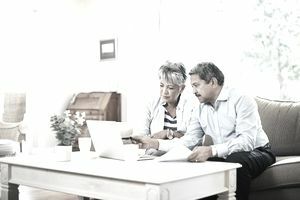 If you’re no longer eligible for Medicaid you can join a Medicare Advantage plan or prescription drug plan, drop your Medicare Advantage plan and return to original Medicare, or drop your Medicare prescription drug coverage for 2 full months after the month you learn that you’re no longer eligible for Medicaid. There are other circumstances where a special enrollment period may apply. Learn more on the Medicare website. If you missed your initial enrollment period and the special enrollment period, you can sign up for Part A and/or Part B during the general enrollment period that takes place January 1 to March 31 each year. If you enroll during this period, your benefits will begin July 1. If you have to enroll during the general enrollment period, you may have to pay penalties for enrolling late. Penalties may include a 10 percent increase in your Part A premium if you have to pay it and another 10 percent increase in your Part B premium. If you delayed your Part B enrollment for 2 years after you were eligible you could pay as much as $160 per month extra for as long as you’re enrolled in Part B. Planning on Retiring Overseas? Don't Forget Your Social Security! What Is the Railroad Retirement Plan, and How Does It Work? What Is a Supplement Executive Retirement Plan and How Do You Get One? Can You Get Spousal Security Benefits? Will Privatizing Save Social Security?